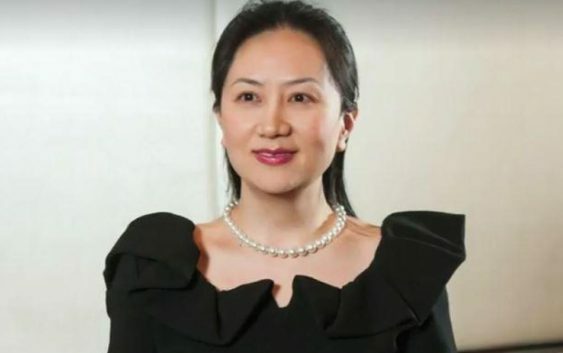 "Call me Sabrina..." She's not a spy, but she's heir apparent to the inner circle of Chinese leadership and she's a heavy shot caller in one of their intelligence networks, facing charges in the US. If you visit China, they will tell you with a certain amount of pride, that they are a communist nation. Then you look around and realize that rampant capitalism is the rule, not the exception and that "communism" in the current definition, has nothing to do with Das Kapital (Marx). It's a one-party system, managed by a power-elite oligarchy that makes centralized decisions for the benefit of all -- but cash is still king. China has set out to rule the world, offering their enlightened system for the benefit of all. The Chinese oligarchs are as distant from the "floating population" of homeless Chinese as the European banking illuminati are from a Paris street sweeper. They live in a place where "you", dear readers, can't go. Thus it is with some interest that I watch the Chinese Communists arresting innocent Canadians in retaliation, and using them as revenge hostages for Huawei Corporation CFO Meng Wanzhou, a member of the inner circle in China. Meng Wanzhou faces charges in the United States for violating sanctions by doing business with Iran and committing bank fraud by disguising the payments it received in return. She's set to be extradited. China's international ambitions can't be undertaken without a sophisticated plan to spy on the world and Huawei Corporation is the mechanism by which that is happening (as I type). Huawei is the world's second largest cell phone manufacturer, behind Samsung. Huawei's founder and Chairman, Ren Zhengfei is Meng's father. He's one of the circle of ten (or eleven) powerful people who makes every important decision over Chinese affairs. President Xi is one of the ten, and not the most powerful among 'equals'. Some assert that Huawei is a state sponsored spy agency. It is - in a Chinese way - and operates in a Chinese fashion. It doesn't work the same way that Western intelligence organizations operate. You need to step back and think through a Chinese brain if you want it to fit in your notions of spy agencies, of clandestine collection and analysis, etc. The People's Republic of China has repeatedly claimed that Huawei is a spy agency. So we take them at their word. Then again, the Communist party has asserted twice within the past three years that all Chinese companies must collaborate as intelligence collectors. Huawei is China's mechanism to export their version of the next networking technology worldwide, and as 5G (100 times faster than 4G) overtakes all systems, they want to use that system to exploit their intelligence collection efforts and their control (potentially total control) over the networks where Huawei's technology 'lives'. The US and its allies have been isolating Huawei to the extent possible and have convinced others which are concerned about China's expansion to do so as well. So what will happen to Meng? She'll go to a US court, will be convicted of bank fraud and will be fined a billion dollars or so (chump change). But it's a bigger game than just squeezing the Chinese Illuminati for cash. It's more about broadcasting to the world that China's expanding intelligence technology and its masters, are not beyond arrest and embarrassment. Whoever controls 5G networks, will call the shots and China is on the way to seize that technological high ground as part of it's Tech 2025 program (putting China in the catbird's chair by 2025).